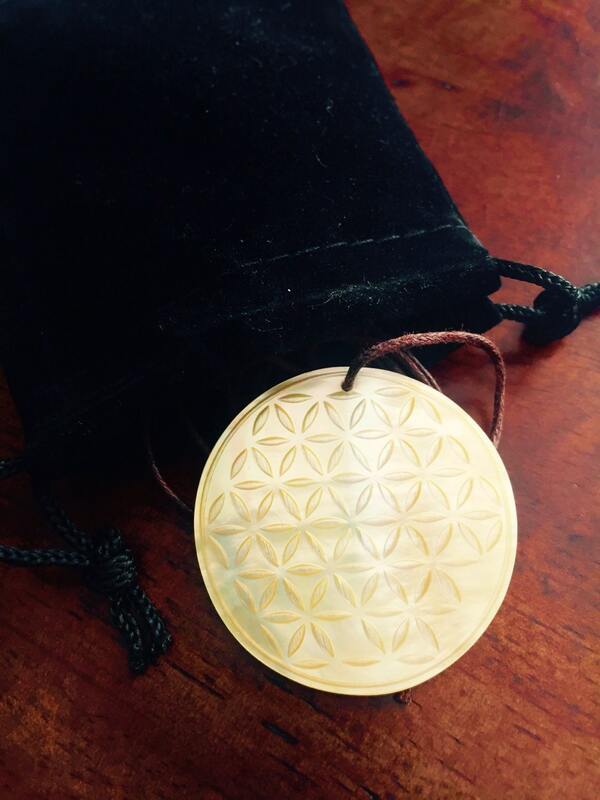 Laser etched flower of life pattern on black Tahitian mother of pearl shell, strong enough to last a lifetime. 1.5 inches. 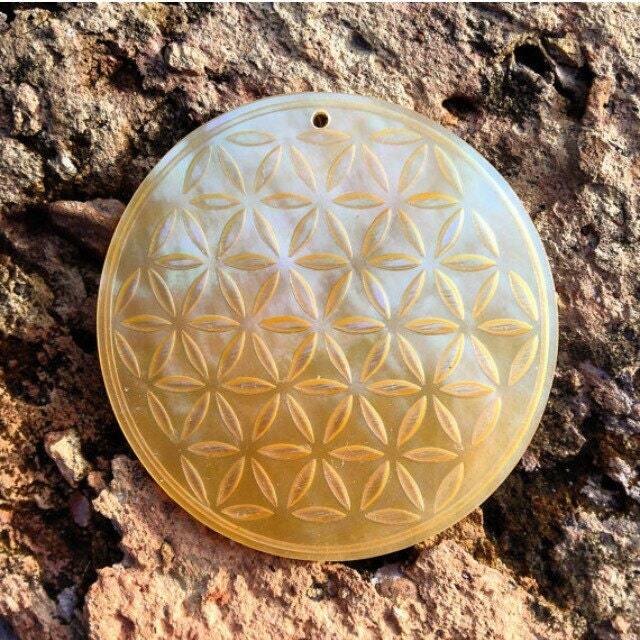 Sacred Geometry Jewelry. Colors and shapes vary, these are natural pieces and no two pieces are alike.